BYD has unveiled three zero-emission commercial vehicle product lines targeted at fleet customers in Europe. 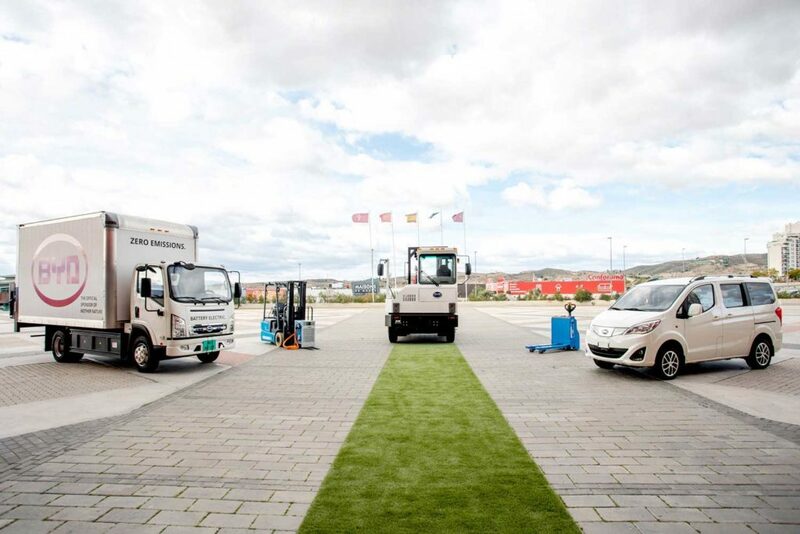 Two BYD electric on-highway trucks and one BYD electric van made their debut appearance in Europe at the end of January at a presentation in the Estadio Nueva Condomina stadium in Murcia, southeast Spain. BYD’s e-truck and e-van range have been available in China and selected other global markets, but have not previously been offered to customers in Europe. The first trucks available to European customers are the T6 light truck and the Q1M Yard Tractor, the latter of which is designed for airport, port and distribution centers. Also launched is the BYD T3 commercial vehicle – the first van BYD is bringing to Europe. These first units will serve as a precursor to a full range of 100% electric light and heavy commercial vehicles which BYD plans to roll out across Europe in the coming years. 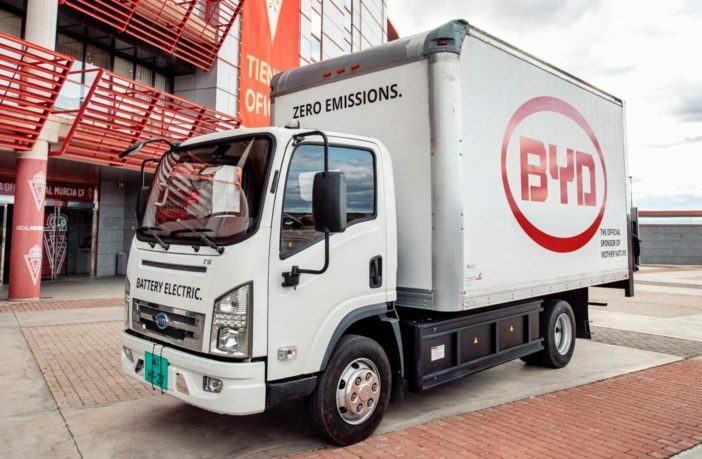 “This is a highly significant step for BYD – the introduction of a whole range of proven and competitive zero emission vehicles spanning key sectors of the commercial vehicle sector,” said Isbrand Ho, managing director of BYD Europe. 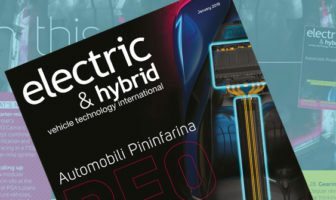 “Our previous pure-electric products have cemented their position in their respective categories – taxis, city buses (we are now the market leader in Europe and have recently produced our 50,000th e-bus worldwide) and forklifts (this year we expect to have completed deliveries of 3,000 units to European customers).